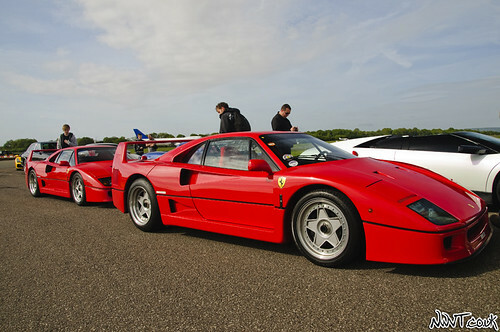 The Door Industry Journal: The ULTIMATE Supercar event is taking place 23/24th June 2012 at Dunsfold Airfield, Surrey. The ULTIMATE Supercar event is taking place 23/24th June 2012 at Dunsfold Airfield, Surrey. Have you always wanted to do a hot lap in a McLaren F1, get flung about in a Ferrari F40 or just sit in the passenger seat of a Pagani? Well you can achieve all three at The Supercar Event taking place at Dunsfold Airfield (better known as the Top Gear Track) on the weekend of the 23rd & 24th June 2012. Tickets are from £10 and you can buy rides in the supercar of your choice from £25. The event is held in aid of the Children’s Trust Tadworth, with all profits going to support children with multiple disabilities. You can buy tickets online via the Children's Trust website - NOW! This Blog post was provided free of charge by the Door Industry Journal on the behalf of their readers.